WATCH What is global warming? A tweet from the National Oceanic and Atmospheric Administration’s Climate account on Tuesday has raised questions about whether the government agency was taking aim at a statement by President Donald Trump that seemed to deny the existence of global warming. The NOAA tweet appeared just hours after Trump tweeted his reaction to the series of winter weather systems slamming the Midwest with record-breaking cold. "In the beautiful Midwest, windchill temperatures are reaching minus 60 degrees, the coldest ever recorded," Trump said. "In coming days, expected to get even colder. People can’t last outside even for minutes. What the hell is going on with Global Waming? Please come back fast, we need you!" 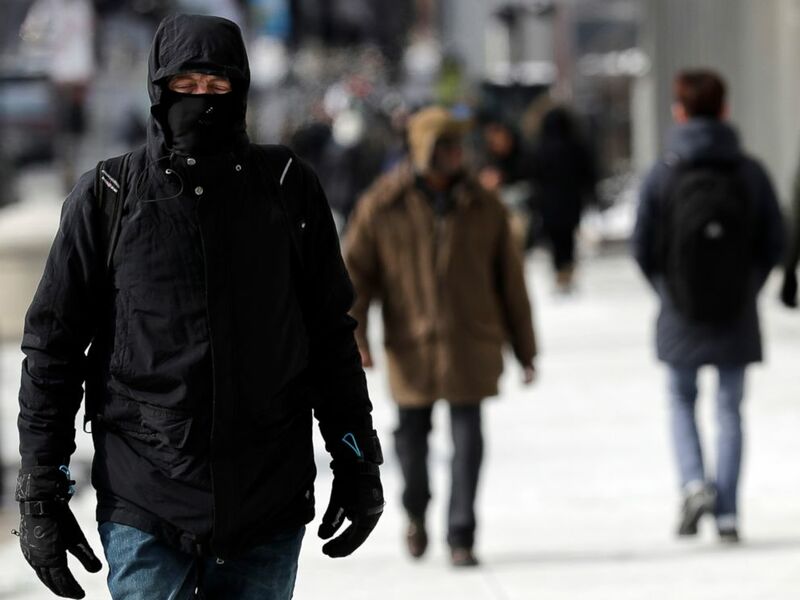 A man is bundled up against Chicago's cold, in downtown Chicago, Jan. 27, 2019. The NOAA Climate account tweeted a post Tuesday morning that featured a cartoon drawing and a link to a 2015 post debunking claims by climate change deniers who have pointed to winter storms as proof that global warming is a myth. "Winter storms don't prove that global warming isn't happening," the tweet said. Many Twitter users began to argue that the tweet amounted to a government agency 'subtweeting' its own chief executive. In response to an inquiry from ABC News, however, NOAA Research’s Director of Public Affairs Monica Allen disputed that the tweet was intended to send a message to Trump. “With the blast of severe winter weather affecting the U.S., we often get asked about the relationship between cold weather and climate change," Allen said. "We routinely put this story out at these times. Our scientists weren't responding to a tweet." The White House did not immediately respond to ABC’s request for comment. The president has repeatedly cast doubt on the existence of global warming in response to cold weather events dating back as far as 2013 and has described it as a "hoax" cooked up by the Chinese. It wouldn't be the first time Trump's beliefs about global warming have contradicted data affirmed by his own government. Last November, Trump said he didn't "believe" a report on climate change from the U.S. Global Change Research Program that showed dire predictions related to the potential long term economic impact of climate change on the U.S.